Todays old school mechanical robot reminds me of old books I used to read, produced in the 1970’s about ‘the future’ – usually referring to the year 2000. Fascinating books, not entirely incorrect in some areas, and very very wrong in others regarding their predictions of the future. Robots have featured in books and film for a long time now. Initially often seen as either scary beasts, or there to help humanity as servants (or a mix of the two). Ever so slowly we have seen them depicted as human copies, coming to grips with trying to be human & struggling with the concept of emotion and soul. 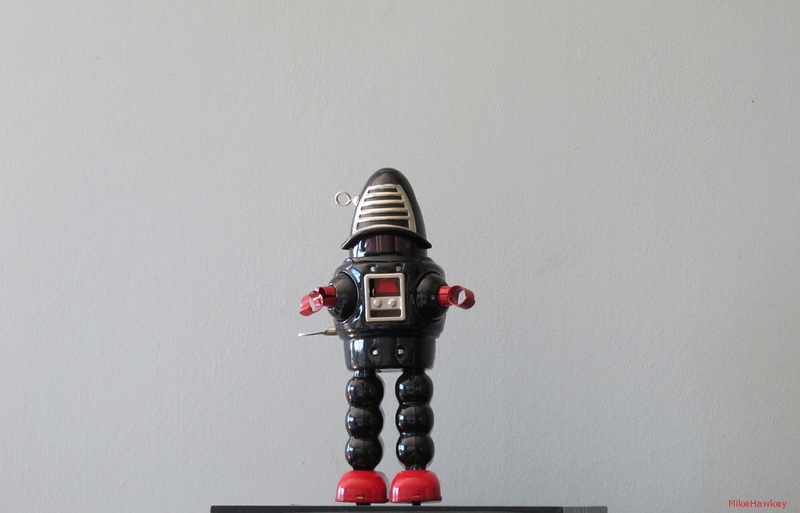 Todays image (a very safe and traditional robot) was shot some time ago on the Canon Powershot G12, edited in Gimp. Thank you!. Sorry, what did you mean in regards to recommendation?